A sausage is a meal itself. Making a sausage – spicing it in the best way, preparing the meat to gain the right texture and flavor, leaving it to ripe – is an art. All over Europe and the middle East, each nation has its own set of typical sausages. This is why I was so impressed by the following Polish recipe. 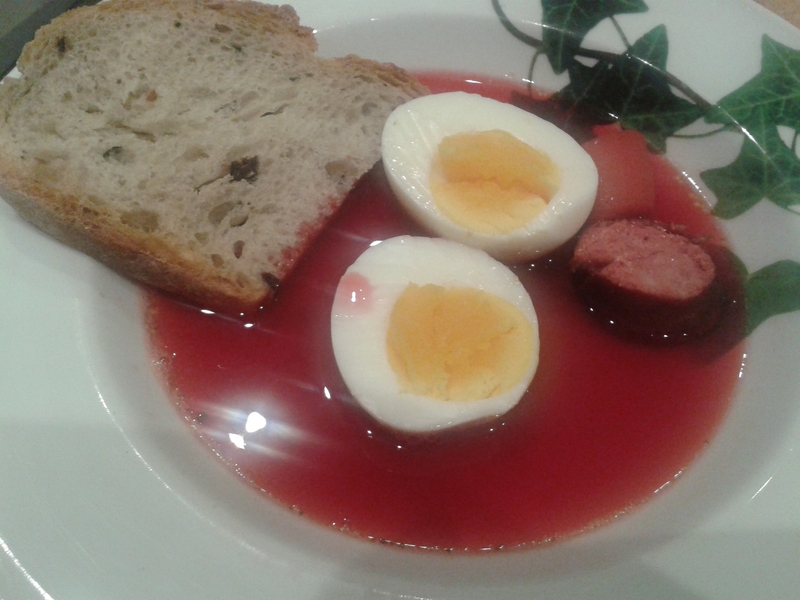 It is a very simple combination of a red beetroot soup framing the amazing Wiejska sausage. For this recipe, you do not need a lot of sausage. Thus, it is really healthy as you only eat a little bit of meat and tons of red beetroot. Cook 200L of water and add vegetable broth, 2 cloves of garlic, pepper and additional salt. 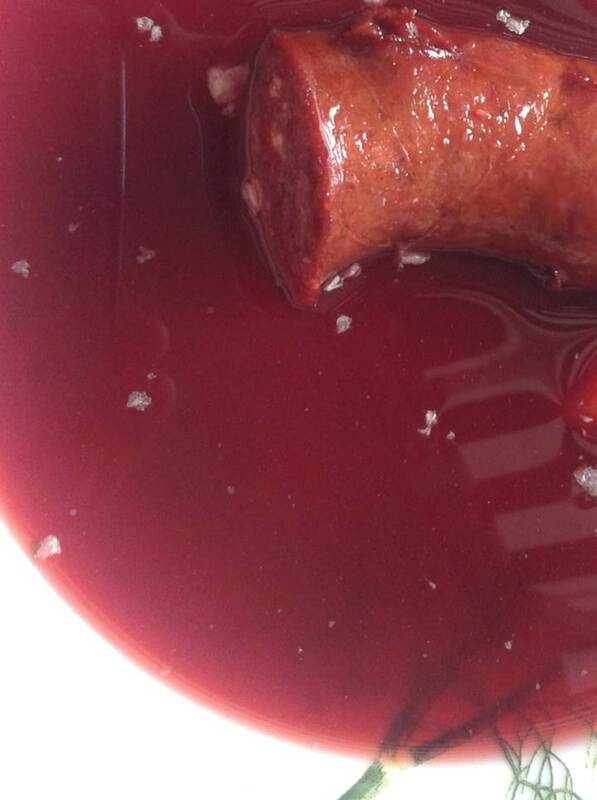 Add 200mL red beetroot juice (you can buy it in the shop) and ½ red beetroot cut into small cubes as well as the Wiejska sausage (cut about 5cm sausage). Leave to cook for 20-30 min while regularly adding a bit of lemon juice to ensure the soup keeps its color. If desired you can boil an egg and add the boiled egg to the soup. This post is dedicated to Wiejska , but of course the red beetroot soup serves well as a background for other types of sausages as well – just try whichever one you like!